Australia has declared its entire exclusive economic zone (EEZ), including that around HIMI, as a whale sanctuary under the Environment Protection and Biodiversity Conservation Act 1999. Population Status: Not globally threatened. 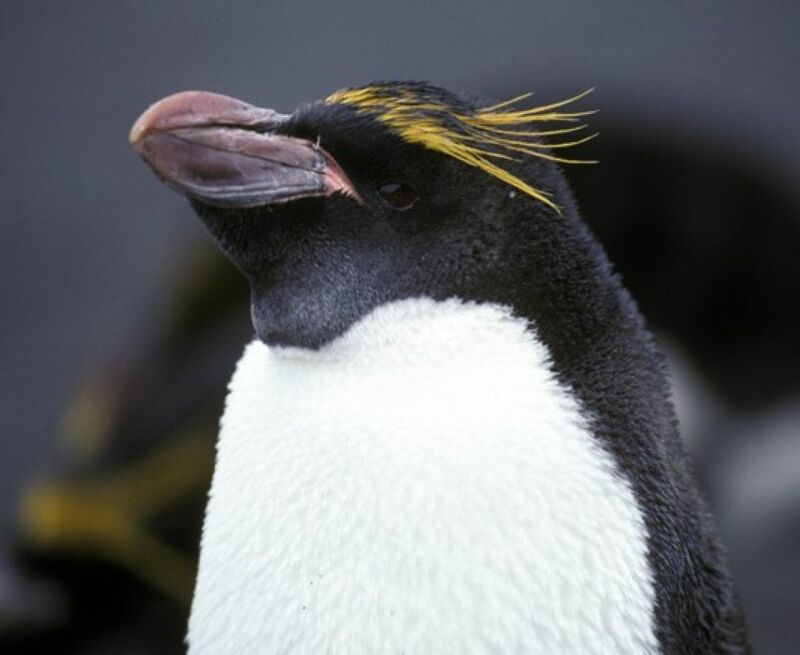 A huge colony is located near Cape Lockyer on Heard Island, where the macaroni penguins build nest on surprisingly steep slopes. Research was conducted on this colony during the 2003/04 expedition, investigating the penguins' role as predators in the region. Unlike most other penguins, macaronis lay 2 eggs each breeding season. The second egg is bigger than the first and is typically the only one that hatches.